When Barilliance reported that over three-fourths of online shoppers choose to leave a site without completing a purchase and that the average cart abandonment rates were hovering around as high as 80%, it was clear that no matter how many advertisements you run to promote your products, there is always something that will distract them and lure them away from completing the purchase. That’s when we began looking into online distractions that often go unseen by eCommerce store owners, that had the potential to increase conversions drastically. Let’s just say it is pretty much similar to how multiple blogs will recommend optimizing a checkout page with only the most important steps, to help the shopper complete the purchase as quickly as possible. But what happens when you have done your part in designing a great page, but what the shopper sees is totally different from what you want them to see. What if the distractions aren’t related to the design elements on your website? If you’re wondering how this is possible, let us explain. A typical online shopper or internet user has multiple browser extensions installed – no matter which one they are using. Some extensions and web apps are to help them boost their productivity, take a break with interesting games, or simply enable them to quickly compare what is being offered by two sites – and the number of such extensions is only increasing by the day. Now you might think this is fair as they just help the end consumer make better decisions or complete a task more efficiently. But what if we said these extensions could actually be injecting malware into your site on the consumer browser, leading to various distractions popping up on your website. Not just any distractions, but those coming from competing websites, affiliate deals, adult sites or even video ads being run programmatically. Imagine being bombarded by popups from different websites right when you open one that you want to purchase from. You would either leave the website for the bad experience it offered or simply start exploring one of the other deals from the other sites that caught your attention. We decided to remove exactly those using a consumer-side malware protection solution. Scanning over 12,000+ malware strains online with machine learning, our team of R&D experts is putting together an ever-expanding list of things that could distract your shopper online. With a ready list of 35 million malware scripts identified already, we started to shield eCommerce sites on the consumer front, blocking out all these distractions with a single line of code. What did this simple act of removing distractions caused by various malware strains, result in? And that proved our first theory right. By keeping your shopper focused on your website and what you have to offer, instead of getting lured away by promotions that you would never authorize otherwise, you automatically get more of them to complete the purchase before walking away. Why should you care about the proving of this theory? Well, what would you do if a competing brand walked into your store with a hoarding promoting their discounts to customers who are making a purchase or thinking of doing so? You’d ask them to leave or call the police for their trespassing. Then why take a different approach online and let them steal the attention of your shoppers? Especially when you could do something about it. We didn’t just learn that keeping online shoppers focused was very important, but also the fact that it was a much bigger problem than we thought. Without knowing, a lot of eCommerce businesses were losing a major chunk of their sales to these distractions. And no, it is not just the small stores that were losing to malware induced distractions on the consumer browser, but even the biggest online retailers like Amazon recognized the cause. They even filed a lawsuit citing the sophisticated and widespread nature of malware caused by AdTech, on sites across the world. But what’s worse, is that distractions are different for every shopper. 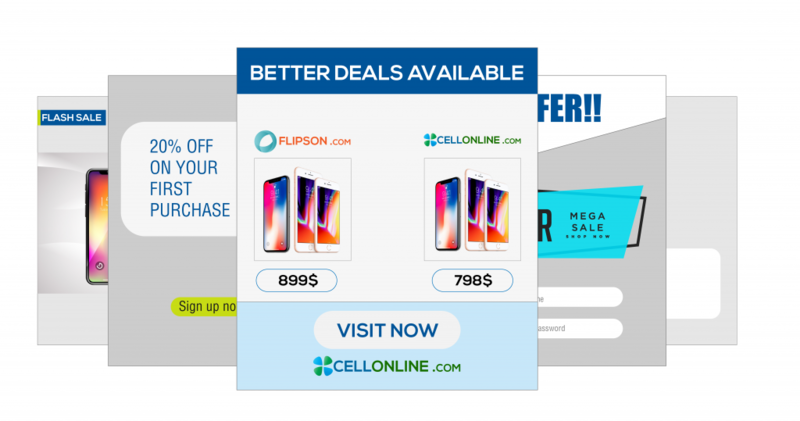 While some might just see a small ad in the corner of a screen from your competitor, there are others that might see a full-screen pop-up that promises them a better deal on the product, on another website and takes them away from you. 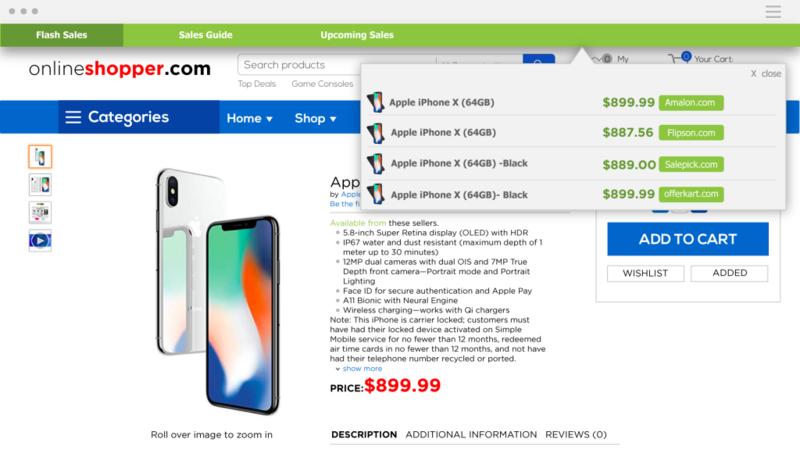 Price comparison browser extensions clutter your product pages with deals from other sites or discount coupons on affiliate websites, distracting your shoppers. While you do want your shoppers to make informed purchases, we’re pretty sure you don’t want to lose a sale just because your product was priced $10 more than a competing brand’s. 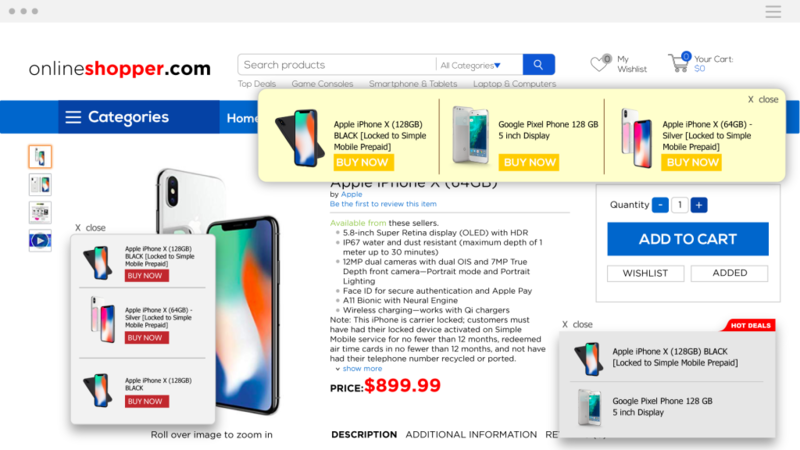 Some browser widgets and apps trigger displaying of ads from your market competitors, promoting their ongoing deals on similar products that a shopper has shown interest in. This lures the shopper away from your site and steals your sale by handing it over to a competitor that barged in. Brand safety has become a topic of concern across the world. The biggest of brands and publishers have lost their following simply because of unauthorized content that their audience felt was derogatory. Adult content seems to be one of the most common distractions on product pages, not just luring your shopper away, but also ruining your brand image. No, we’re not talking about the ones you have implemented to promote your ongoing deals to shoppers. We’re talking about the intrusive pop-ups that get injected by the browser extensions and web apps, and look nothing but spammy at most times. 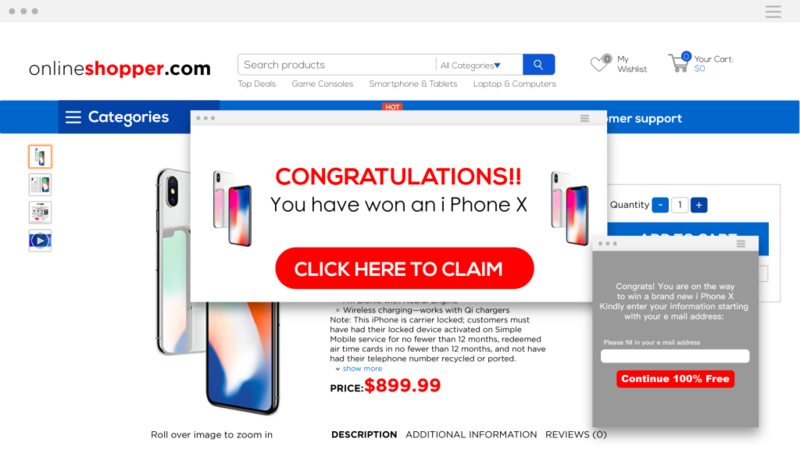 They distract the shopper, trying to sometimes lure them away from your site by offering something big or simply ruining their online shopping experience. Most video ads that get injected onto your site will begin to autoplay and distract the shopper from focusing on your product details. They’ll either end up watching the video or trying to find a way to stop them from playing. What’s worse is that these videos also impact your eCommerce store’s page load time, further compromising the online shopping experience that you wanted to offer. 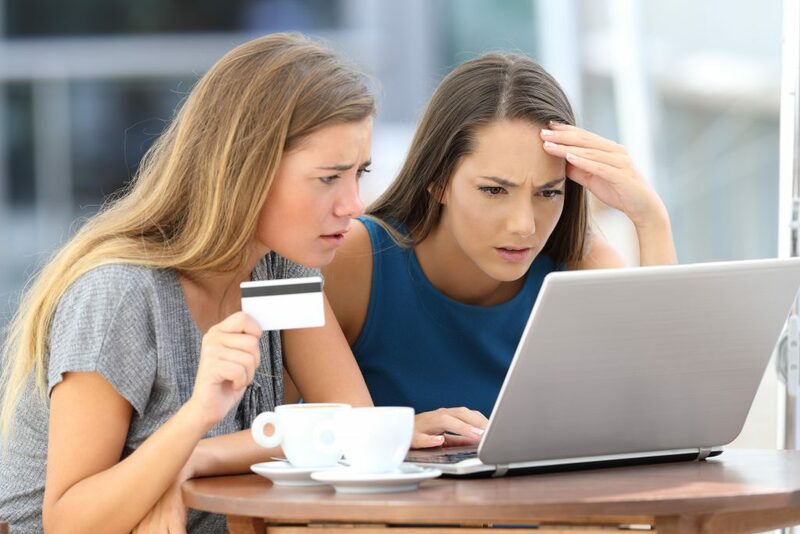 While our consumer side malware protection solution, Shield, helped eCommerce stores remove these unwanted distractions and let their shoppers focus on completing the purchase, we began thinking of ‘what next’. And that brought us to ask the question – we blocked these distractions, but will it stop price-sensitive shoppers from making a coupon run? What will offer them a frictionless shopping experience, without having them leave the website multiple times? You like a product on an eCommerce store, you add it to your cart and instead of looking for a coupon on the site itself, you go to Google and look for deals. Well, you’re not alone! Almost 70% of online shoppers are price-sensitive and are looking for better deals, discounts or cashback offers. Even if this takes them an extra ten minutes to make a purchase, or wait for another deal to come up after being disappointed with invalid coupons, the behavior remains the same. But that’s not all. It took us another observation to begin testing our second theory – 90% of the traffic from coupon sites were not ‘new visitors’, but rather shoppers who were already on the retailer’s website 30 minutes prior to going to a coupon site. So a lot of eCommerce stores were actually even paying affiliate sites for their own traffic to convert – and that too for a deal that they already had on their site. And all it took, was us addressing their concern of “am I getting the best possible deal right now?” with real-time promotions of coupons, cashback, and loyalty programmes. In October, we launched Engage for online stores to be able to prevent their shoppers from making a coupon run, by promoting their ongoing deals at the right time! It’s time to take charge of what goes unseen and has never been in your hands – how your site appears to the consumer on their browser. Because if you don’t know what they’re looking at, you will never be able to create an online brand that is loved; nor would you be able to stop distractions from luring them away from your site and would never get a chance to engage them in a timely manner, losing out on sales. With the digital landscape expanding by the day, we’d say 2019 is the time for eCommerce stores to step up their game and start focusing on the leading cause of cart abandonment that costs them sales – distractions. It’s time for you to “identify, engage and convert” your shoppers. Ready to convert your distracted shoppers into customers? See how BrandLock does it. PrevPreviousRemove Distractions. Increase Conversions. Meet BrandLock!